Defence lawyer Michael Lacy wants to know if Carlisle was told to focus on finding Dennis Oland in video. Carlisle does not recall being given that name but has notes that appear to be describing Oland. Defence lawyers contend police did not properly hunt for other possible suspects and were simply focussed on Dennis Oland as the murderer. Carlisle did not testify at the first trial. He didn't just instruct you to retrieve city hall security video, but to review it? Yes. And he asked you not only to go look at it, but told you what in particular you were looking for? Yes. Next witness Saint John police Cst. Daniel Weber. Weber says he and another officer were dispatched the day after Oland’s body was discovered to search two streets for “anything out of the ordinary” including a weapon. Oland’s body was discovered in his office on Canterbury Street. Weber is asked to search Water and Prince William streets which run parallel to Canterbury. Weber is also to ask local businesses if they have any security camera footage of the street in front of their properties. Lacy suggests this referred to a potential suspect, pushing the defence's argument that police set their sights on Dennis Oland as a suspect early on. "Isn’t that right?" Weber identifies some possible locations with street facing security cameras and notes it for review by investigators. He finds nothing suspicious during his route - no weapon. Carlisle's notes from 7 years ago aren't detailed and he didn't testify at the preliminary inquiry or Oland's first trial. 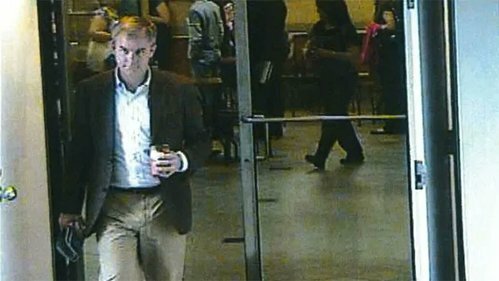 "I don’t recall if there was a name mentioned or how this person (being pants, 5'10", dark blazer) fit into the investigation at the time," he says. Michael Lacy asking questions of Weber now. Is it true you just reconstructed an account of what you did in the investigation 9 weeks ago? Around then, yes. More than 7 years after the event? Is that normal? I was just recently told to do it, says Weber. Weber also involved in search of Dennis Oland’s property and the area around the Renforth Wharf. You searched diligently? Yes. And found nothing? That’s right. And you just recently prepared a report of your activities in these searches on October 1 this year? Yes. Const. Daniel Weber testifies he was tasked with another officer on July 8 to search Water and Prince William streets between Duke and King streets. They were to "look for anything out of the ordinary," he says. "We weren't quite sure what we were looking for," he says, a weapon of any sort, surveillance video as well. Defence lawyer Michael Lacy asks if Weber only prepared his narrative of his involvement in the 7-plus-year-old case on Oct. 1, 2018. Around then, he says. An aside from the morning - defence lawyer Alan Gold suggested media (me I think) incorrectly reported yesterday that he did not trust provincial court services to handle getting a certified Korean interpreter from BC to court in Dec and needed a judicial order to make it happen. Day 7 of Oland trial - afternoon session. Crown calls Brian Doucet. He worked for Bustin’s furniture which shared a back alley with the office building Richard Oland was murdered in. 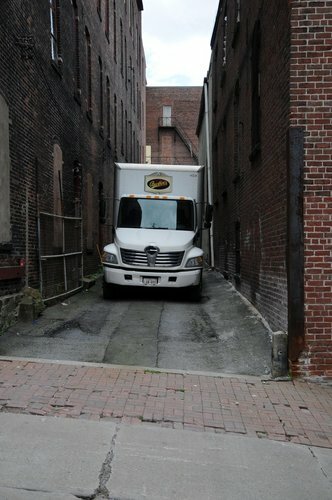 Doucet said he worked at Bustin’s delivering furniture for 18 years and drive in and out of the alleyway often. He said a gate across the alley was closed and locked every night. Doucet did not testify at the first trial. Defence lawyer Michael Lacy asks what time he got back from deliveries the day of the murder and locked the gate. Couldn’t tell you - says Doucet. A long time ago now. Did you just give a statement to police recently? Yes but I was also interviewed at the time. Did they ask you about your delivery schedule and when you finished on July 6, 2011. Don’t remember, says Doucet. You would have remembered at the time? Certainly. Sometimes in the winter, if the snow was piled up, it wouldn't be locked, he says, but in the summer, it was usually always locked. Retired Sgt. Dannie Forret on the stand. On July 12, around 8 p.m., he attended 52 Canterbury St. and met bldg owner John Ainsworth. Accompanied him to the basement to search the elevator shaft for any possible evidence. Were you looking for anything in particular? asks Crown prosecutor P.J. Veniot. No, any type of evidence that could be related to the homicide, says Forret. It was dark. He had to use his flashlight, he says. Nothing found. Forret also searched the catch basin for any evidence. Visually first, using flashlight and then cleaning it out. Nothing found. Court now hearing from a series of police witnesses who had minor roles in the investigation. Retired Sgt. Dannie Forret testifies about a search of the basement and old elevator shaft at Richard Oland’s building for a weapon or other evidence. Nothing. Const. Chris McCutcheon (sp?) on the stand now. Crown prosecutor P.J. Veniot is asking him about his involvement in the Richard Oland homicide investigation. July 9, 2011, approx 3:30 p.m., he was assigned to relieve Const. Prosser from guard duty. He remained in the hallway, he says. On July 12, he was back at 52 Canterbury St. again around 6:32 p.m. to guard the scene. Then-lead investigator, Const. Rick Russell, of the major crime unit, was there, as well as Const. Roger Paris (sp?). Also testifying is Cst Chris McCutcheon. He did a lot of scene security in the early days guarding against anyone coming in to Oland’s office. He also helped in the search of the elevator shaft and a back alley storm drain. Found nothing. Russell received a call. As a result of that call, Russell instructed McCutcheon and Paris to search a garbage bin in Richard Oland's office for a Montana’s receipt. Paris entered, he followed. Thinks Russell also entered the office.